An Outback Safari adventure awaits you. 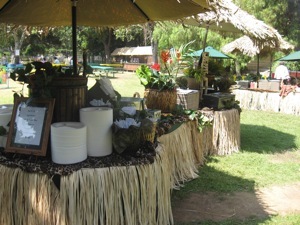 Enjoy some freshly grilled tri-tip with teriyaki ginger sauce at the safari grill before competing in the Survivor Games. 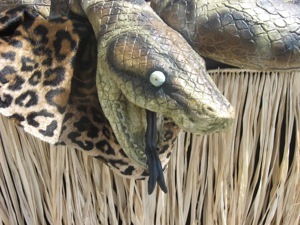 Every detail of the Safari theme is carefully coordinated from the colors of the linens and umbrellas or canopies to the flowers, safari themed props and staff uniforms. We even give away themed prizes. Complement your Safari theme with the giant Wild Rapids slide, the Tiki Island Climbing Mountain or an exotic animal show. 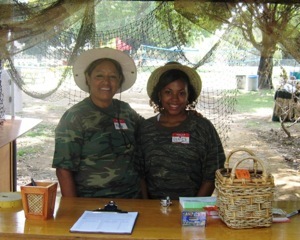 Call one of our Event Coordinators today and start planning your next themed company picnic or corporate event. We welcome the opportunity to customize an event package to fit your exact needs and budget. "Our picnic was a huge success. We had lots of fun, especially during the Survivor Games."